SAY NO to PDF Unlocking Programs! PDF Page Lock Prevents Secured PDF Documents from being Cracked or Decrypted by PDF Unlocking Programs/Services! Online PDF unlocking services or cracking programs CANNOT Unlock or Crack the PDF files protected by PDF Page Lock. PDF Page Lock encrypts your PDF documents with the strongest AES-256 algorithm, and also encrypts your password twice. Simply open a PDF file and select your confidential pages to lock or hide, then set a password while saving the PDF. Done! This easy-to-use software tool has the 1-Click Unlock feature, which enables you to unlock/unhide all pages very easily. English, French, German, Chinese, Korean, Polish, Arabic, Hungarian, Turkish, Čeština and More. If you like to add your language, please email to admin. 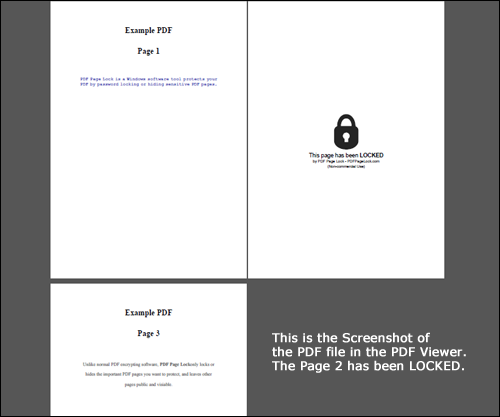 PDF Page Lock is a 100% Clean PDF security tool. It doesn't bundle with no adware and malware. You can check the scanned report at VirusTotal. 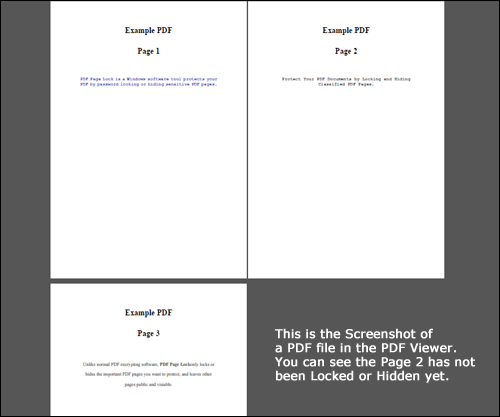 Please click following 3 screenshots, which shows you how does the PDF Page Lock lock and hide the page 2 in the sample PDF file. 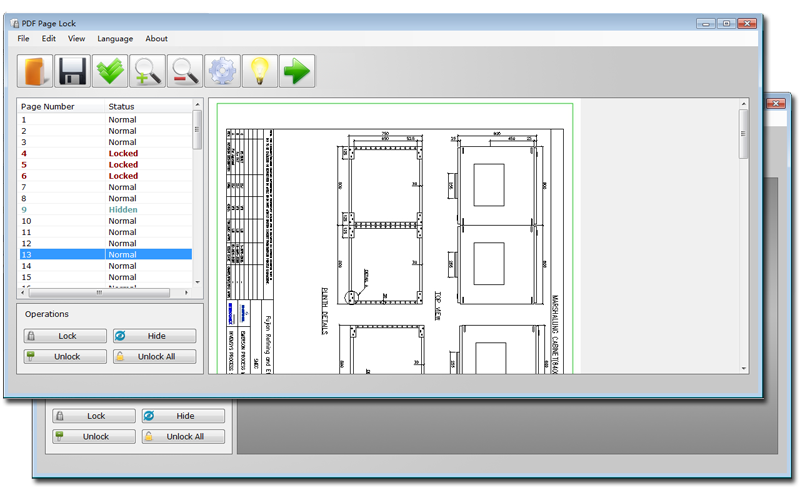 The 1st screenshot shows you the PDF file in the PDF reader/viewer program. Anyone could access the content before locking and hiding the page. The 2nd screenshot shows you the PDF file in the PDF reader/viewer program after the page 2 was locked. The content on the page 2 could not be displayed anymore. 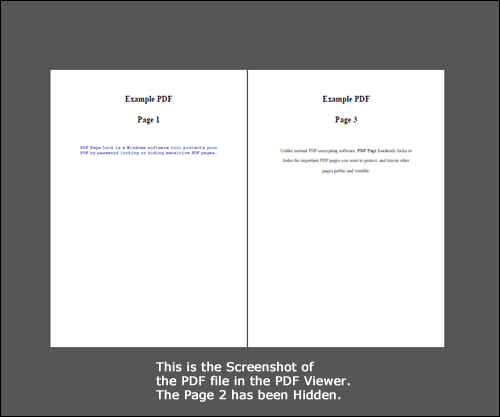 The 3rd screenshot shows you the PDF file in the PDF reader/viewer program after the page 2 was hidden. You can only access other pages because the page 2 could not be seen anymore. There are instances where you might want to keep certain important pages of your PDF documents locked or hidden. PDF Page Lock is an easy software which will allow you to do exactly that. To keep sensitive pages stored invisible or locked, please download PDF Page Lock.